DENVER, CO--(Marketwire - February 2, 2011) - First Western Trust Bank, striving to be the best private bank for the Western wealth management client, announced today that Josh Wilson has been promoted to President of the firm's Denver office. In his new position, Mr. Wilson will lead the high-performing downtown Denver office in its efforts to provide private banking, wealth planning, investment management and trust services to affluent, high-net-worth individuals and their closely held businesses and extended families. 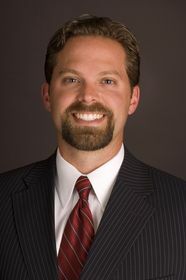 He previously served as a Senior Vice President and lender for the office. "Josh's promotion is recognition of the great contributions he has made to the firm and to the downtown community," said Joanne Field, First Western's Colorado Bank President. "I am entirely confident he'll provide exceptional leadership for the Denver office and its team." Mr. Wilson, who earned his BSBA from Regis University, brings great experience in private and commercial lending as well as financial planning to his new role. Prior to joining First Western, he worked at Vectra Private Bank as Vice President, where he established expert relationships with clients and their investment portfolios. 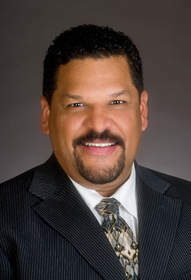 Mr. Wilson is currently involved in the Denver Chamber of Commerce Leadership Foundation and serves as an executive committee member of the American Cancer Society. Mr. Wilson has also recently welcomed a new team member, Louis Rivas who joined as Senior Private Banker. Mr. Rivas previously served as a Private Banking Officer with Northern Trust in the Santa Barbara and Rancho Mirage offices in California. Prior to his seven years at Northern Trust, Mr. Rivas spent over twelve years in the Credit Union Industry in Southern California. "Louis has quickly become an asset to our team as a highly motivated and skilled Private Banker. Our success continues to be shaped by the talented associates that go above and beyond for our clients," Mr. Wilson remarked. First Western Trust Bank is the West's premier private bank and trust company, providing high-net-worth individuals and families with wealth management solutions that cater to each client's unique needs. First Western Trust Bank strives to be the best private bank for the Western wealth management client, providing comprehensive tailored solutions in the areas of wealth planning, private banking, investment management and trust services. With over $4 billion in assets under management, First Western was recently ranked by Inc. magazine as one of the fastest growing bank/bank holding institutions in the country. Built specifically for the new economies of the West, the firm and its affiliates have offices in Arizona, California, and Colorado. For more information, visit www.fwtb.com or call 303-531-8100.